I guess, first off... I can tell you, hi my name is Tammy and I'm a shopaholic for anything and everything Marc Jacobs. 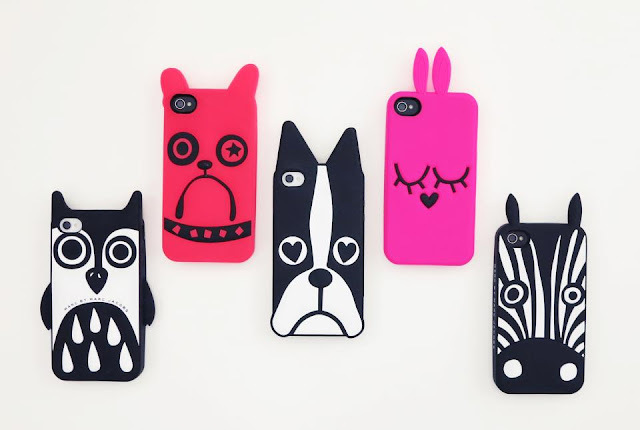 The newer logo iPhone covers that were available right after the Miss Marc collection were super cute but I didn't think it perhaps had enough character for me! Enough of me going on and on about my obsession with Marc Jacobs because seriously, this could go on for pages! 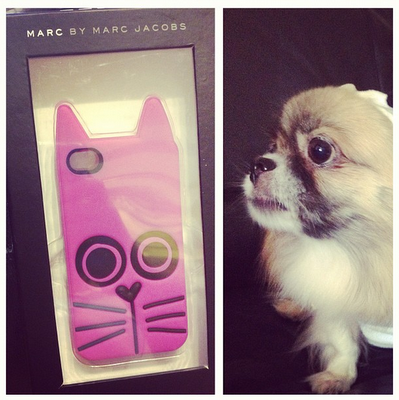 Check out these TOTALLY adorable animal cases with of course the fantastic Marc by Marc Jacobs twist;)! This is what the exclusive version from shopbop looks like! haha, this picture is from my instagram. How cute is the kitty case? and my little doggy! If you are interested in this version, feel free to click on the image above, it'll lead you straight to the Shopbop link where I got it! Shopbop Experience: Always a pleasure shopping with Shopbop, super fast shipping! and the shipping overseas is only 10 dollars! incredibly impressed, so I definitely recommend it! hope you enjoyed this quick tech fash update! So tell me! Which one would you collect? or are you like me and want them all!